Shannon Bennett's book is a feast for the eye and the senses. TAKING time off from his new Vue de monde restaurant in Melbourne, atop one of its tallest buildings, the Rialto, Shannon Bennett invites us to share 28 glorious days in a Provence village. Renting a large farmhouse just outside Menerbes in the enchanting Luberon district, Shannon re-acquaints himself with his love of France and its cuisine. Starting out there as a young apprentice chef, he is forever drawn back to its food and its way of life. His daily diary has transformed into a picturesque record of Shannon Bennett's séjour in Provence. Laced with endearing family stories as his wife, Madeleine and their three small children encounter the pleasures (and sometimes inconveniences) of village life, Shannon takes us on a chef's tour of the markets, the vineyards, the surrounding villages and above all, regales us with a plethora of gastronomic delights. 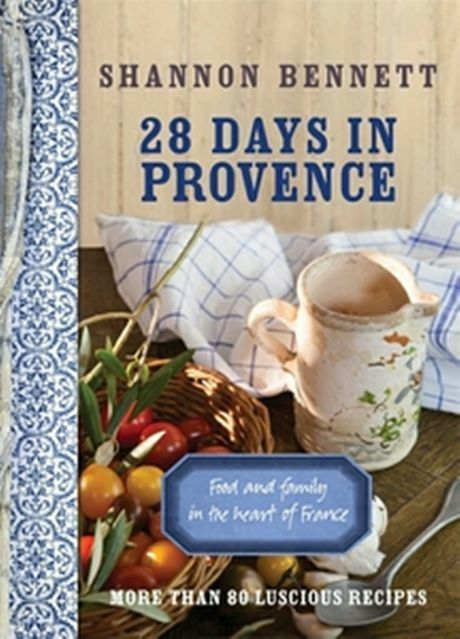 With more than 80 delectable recipes gathered on his tour and wonderfully atmospheric photos of village life, gorgeous scenery and luscious dishes, Shannon's book is a feast for the eye and the senses and will inspire Francophiles and food lovers alike.